Once again,Interactyx is honored by the recognition of the mayor of our headquater hometown of Bonita Springs, Ben Nelson, Jr., in the letter below for achieving the no. 790 position of the 2014 Inc. 5000 list of America's fastest growing companies. 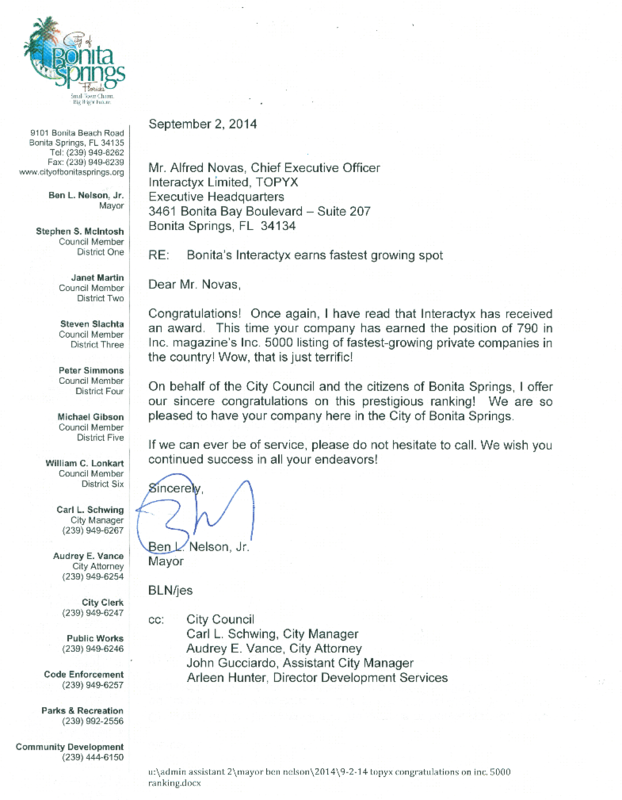 Thank you, Mayor Nelson, and the entire City Council of Bonita Springs for the recognition of this achievement!